CHANCELLOR Philip Hammond may have been forced to backtrack on his Budget tax rises for the self-employed, but another Conservative policy on personal finance remains firmly in place. Since April 2015, people aged 55 and over have been able to withdraw lump sums from their pensions, with 25 per cent tax-free and the rest taxed as income. However, it has emerged that the pension freedoms introduced by previous chancellor George Osborne have become something of a money-spinner for HM Revenue & Customs, while the majority of those approaching retirement are not even aware they will be able to get free help to avoid incurring unnecessary tax charges. Figures published in the Budget show that taxes levied on those withdrawing money from a defined contribution (DC) pension at retirement generated £1.5 billion in taxes during the 2015/16 financial year, five times more than the £300 million figure expected by the Treasury when the policy was unveiled in the 2014 Budget. This tax year, the policy will have raised a further £1.1bn for HMRC’s coffers, nearly double the £600m estimated, and the Chancellor now expects the freedoms to bring in £5.1bn by April 2019, compared to the original forecast of just over £3bn. The tax bonanza is down to huge numbers of people taking out larger chunks of their life savings than was previously possible through an annuity - which sees pensioners swap their retirement savings for an income for life - and failing to spread their withdrawals, as the Treasury expected. 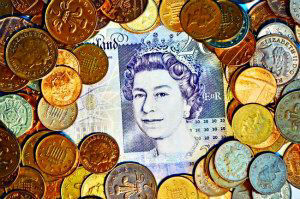 Any amount withdrawn from a pension pot is treated as income in that tax year. So a worker on a salary of £30,000 who then withdraws £30,000 from their pension pot ends up paying a higher marginal tax rate on £9,500 of that money, leaving them with a tax bill of £6,400. By contrast, taking £15,000 in one tax year and £15,000 in the next would leave them in the basic rate tax band, incurring just £4,500 and saving £1,900. Mr Parkin said many pensioners are not aware that they can stagger their withdrawals over several tax years. “This ultimately means leaving more invested and growing more tax-free cash for the future,” he said. Research from Citizens Advice last year showed that a third of pensioners are simply withdrawing their pension savings and shifting their retirement nest-egg into a bank account. This is not only an unwise move because it could result in people incurring an unnecessarily large income tax charge, but because bank deposits count towards an estate for inheritance tax purposes and the move could reduce any entitlement to welfare payments, such as housing benefit. Cash sitting in a savings account is also at the mercy of poor rates and rising inflation, shrinking the real value of the money over time. From April this year, any worker aged over 55 will be given access to free professional financial advice about what to do with their pension, up to the value of £1,500, under the Pensions Advice Allowance. At the same time, the Government will be offering tax breaks for employers who offer pensions advice in the workplace. However, the majority of those approaching retirement have not heard of these initiatives and have no intention of taking professional financial advice, according to research from insurer LV=. As a result, the company has warned of a “mis-buying” crisis that can only be solved if the Government, regulators and pensions industry do more to promote the value of financial advice. It has called on watchdog the Financial Conduct Authority to make it far clearer in risk warnings provided alongside product sales at retirement that consumers will lose out if they do not get professional help. It also hopes that a new public advice body, proposed by the Government last year and currently in the consultation stages, will be compelled to signpost consumers towards financial advice. In the meantime, Mr Parkin has urged those hitting crunch point to shelter withdrawals in their personal allowance, which will go up to £11,500 in the next tax year. It is vitally important that women, who were born in the 1950s, and who may be partners, children, relatives, friends and/or colleagues, be informed about changes to pension arrangements likely to affect them. “We are a campaign group that fights the injustice done to all women born in the 1950s affected by the changes to the State Pension Law (1995/2011 Acts). THE AIM OF THE CAMPAIGN IS: TO ACHIEVE FAIR TRANSITIONAL STATE PENSION ARRANGEMENTS FOR ALL WOMEN BORN IN THE 1950’S AFFECTED BY THE CHANGES TO THE STATE PENSION LAW (1995/2011 ACTS). The website includes State Pension Age Timetables for use to calculate if or how a woman could be involved. Across the United Kingdom some 2.6 million women are affected by the changes—750,000 in Scotland. By telephone, e-mail or in person, every woman affected MUST contact her MP to state how the inequality brought about by the changes will affect or already has affected her. This most likely will be the financial effect upon her and her family. Of course, groups can protest on behalf of women to support the cause, but each woman herself must indicate how she has been individually affected in order to increase pressure upon Parliament.